Preorder any of these upcoming titles and choose a complimentary advance readers copy of a new book being released later this year when you pick up your order at Mrs. Dalloway's. Also note an additional bonus offer for The Guest Book! You can click on any cover to read more about the book. 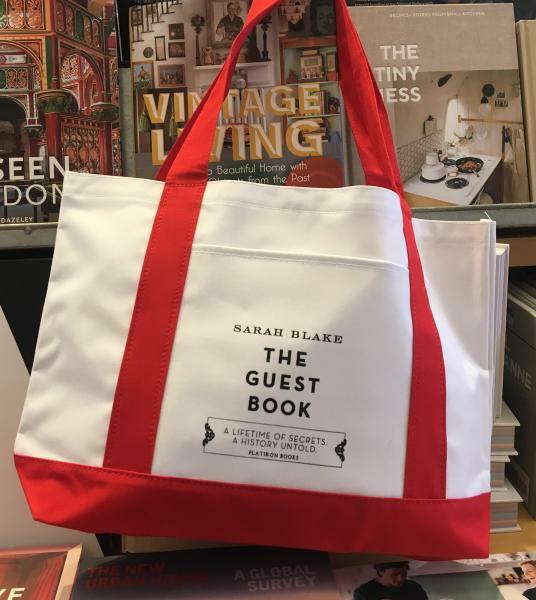 BONUS OFFER: Preorder your copy of Sarah Blake's highly anticipated new novel The Guest House from Mrs. Dalloway's, and receive an exclusive tote bag (while supplies last - we have 5 to start with). Books and totes can be picked up starting Tuesday, May 7th.